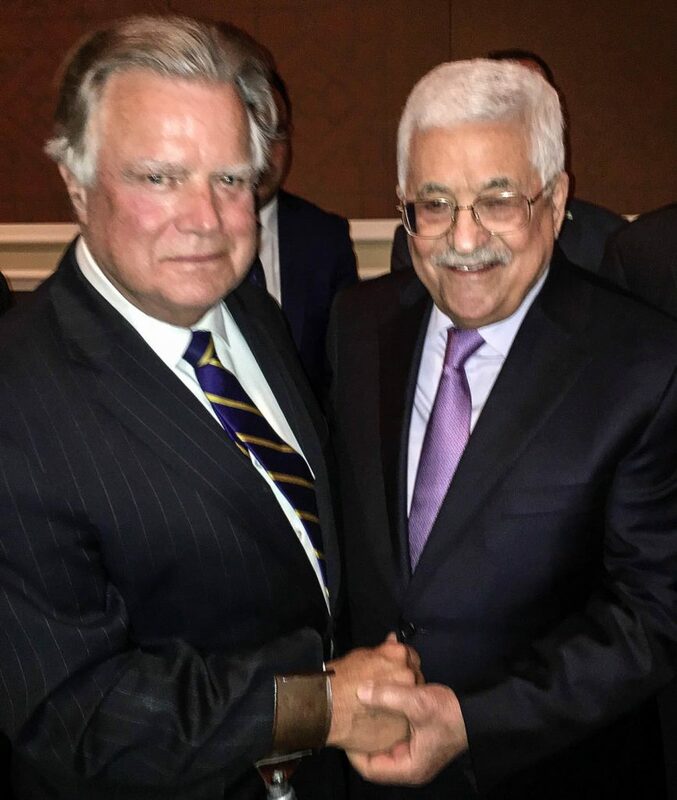 National Council on U.S.-Arab Relations Founding President & CEO Dr. John Duke Anthony met privately with Palestine Liberation Organization Chairman and Palestinian Authority President Mahmoud Abbas today following Abbas’ visit with President Trump at The White House. Dr. John Duke Anthony with Mahmoud Abbas in Washington, D.C., on May 3, 2017. This entry was posted in John Duke Anthony, NCUSAR, Palestine.